Yvonne was born and raised in Essington, PA. She graduated from Venus Beauty Academy in 1992, and the Skin Care School and Center in Newark, DE in 2003 with certifications in Esthetics, Spa Therapies, and Makeup Artistry. She has developed a “progressive,” not “aggressive,” approach to skincare after working in salons and med spas. Yvonne believes that healthy skin is achieved with a multifaceted approach: a tailored skincare regimen with the highest active ingredients and quality sun protection, combined with an overall healthy lifestyle. Deeply rooted in medical aesthetics, Yvonne has discovered that the HydraFacial MD and Quaser LED Photo Rejuvenation Systems work hand-in-hand for incredible results that have her clients coming back for more. Yvonne emphasizes the importance of educating her clients on skin care routines that will help keep skin healthy and youthful. Combining these routines with monthly HydraFacials to help relax facial muscles and stimulate collagen, Yvonne believes anyone can achieve beautiful skin without the need for surgical intervention. She loves what she does, and hopes that she can bring some knowledge to the skin field while educating those coming up behind her. Residing in West Grove, Yvonne is the mother of 3 adult children and one granddaughter. She loves vacationing in Virginia with her family each year. For more information visit www.tuscanysunandspa.com or call 610-444-3570. Master Stylist and salon owner, Christine D’Alonzo, had her start as a young girl who loved art. She always saw herself as an artist, hair was just another medium to create and express with. She began her journey as an art student in middle school, cutting and coloring hair for her family and friends by the age of 12. This passion continued and after a year of art classes in college, she discovered that working with hair was meant to be her craft. After completing her training at Jean Madeline in Philadelphia, she worked in ritzy, high end salons doing hair for celebrities, TV personalities, professional photoshoots, and hair competitions. Still, even after achieving all this, it just wasn’t enough so she opened her own salon and has been living her art every day. She has developed a unique style using as many as 7 colors in one formula to create incredible dimension and a one of a kind look tailored by each individual personality so that their inner beauty can truly radiate. But her creative vision does not stop there. A people lover at heart, she is inspired by people’s stories and touches the lives of everyone she meets with grace and long lasting friendship. Amelia Paris Salon & Spa has become a place that people come to discover their true selves through Christine’s creative vision. Come in today and experience the magic for yourself! Every woman dreams of having her own shop, and hardworking, energetic Linda Bellin is no exception. From her start working at (and helping select gift items for) her sister’s farm stand (the famous Filasky’s Produce in Middletown); Linda learned both retail and the importance of taking good care of loyal customers. Her travels in Europe inspired a lifelong love of elegant design. Linda is no stranger to a drill gun and paintbrush. She loves to find, repair and refinish to-die-for antiques, including enormous gilt mirrors, vintage doors and ornate display tables. Linda’s first shop, Tattered Treasures in Chesapeake City, featured beautiful classical antiques and architectural salvage with French or Italian flair, gift items and jewelry. As Linda says, “Come and ‘CHICK’ us out . . . and then have everyone else ‘CHECK’ you out!” You can keep CHICK’S as your personal style secret, or share it with your friends. Linda, whose faith in ‘putting God first’ inspires all of her life and work, lives in Maryland with her husband Jim and daughter Alexandra. Their son Dennis and his wife Danielle care for their beloved grandchildren Zachary and Zoe. Melisa Ferriola began her career in makeup at Pennsylvania State University where she earned her Bachelor of Arts Degree in Quantitative Business Analysis with an additional emphasis in theatre. Melisa studied and applied stage and special effects makeup for the university theatre company. In 2006, after a 20-year corporate career in the Delaware banking industry, Melisa switched careers to pursue her life-long interest in makeup and beauty by opening Lasting Looks – a permanent cosmetics studio, lash bar and day spa located in Hockessin, Delaware. The Lasting Looks mission starts with the desire to empower women to take charge of their appearance and to put their best image forward. As owner and operator, Melisa personally ensures that every client receives private, exclusive care. Her artistic skills and attention to detail show through in every service she provides. Melisa also teaches workshops in eyelash extension application privately and at area cosmetology schools, where she is frequently a guest lecturer encouraging young people in their pursuit of success in the beauty industry and the importance of empowering women to look and be their best. Melisa is a licensed Aesthetician and Certified Permanent Cosmetic Artist and serves as Secretary and Membership Chair on the Board of Directors for the Society of Permanent Cosmetic Professionals. This international organization sets high standards for the industry, certifies the knowledge of technicians and facilitates two conventions per year providing continuing education workshops for permanent cosmetic professionals worldwide. 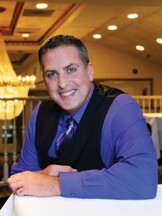 Visit Lasting Looks online at www.lastinglooksforyou.com for a complete listing of our services. We are also on Facebook, LinkedIn and Twitter. The Lasting Looks Spa is located at Hockessin Corners next to the Back Burner Restaurant and Jennifer’s Bridal. 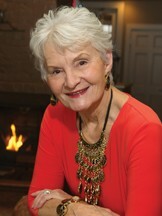 Roberta Kozak is the Owner of the Jewelry Exchange of Delaware, Inc. with stores in historic Lewes and stately Greenville, Delaware. Jewelry had always been a passion of Roberta’s. Following successful careers in other fields and raising three children, she finally found her passion and niche in jewelry. Roberta opened her first location in 1997 in Chadds Ford, Pa in a small shop next to the Chadds Ford Inn that once was occupied by her friend and Jeweler, Don Pywell. This first shop started with not much more than her personal jewelry and that of a few of her close friends that shared the value and excitement in estate jewelry. From the humble beginnings of the Chadds Ford store, Roberta’s vision progressed over the next 20 years with locations in Centreville, Lewes and Hockessin, De. In 2009 her son Nick Dellaquila joined the business and with the opening of their flagship store in Greenville they cemented their position as one of the states farthest reaching, most capable jewelry stores. In 2011, Queen Roberta Kozak’s daughter, Princess Corey Grabowski joined the business and they now have developed a successful bridal business in addition to specializing in buying, selling, trading, designing and redesigning estate jewelry. In addition Roberta holds a United States Patent for her design “Mothers Perpetual Heart” that is for Mothers who had to endure the pain of the loss of a child. Roberta says that she loves going to work. It’s her second home. She enjoys all of her clients and feels so lucky and blessed to have both of her locations, and being able to work with her children. 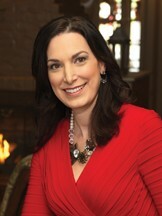 Erica Suppa is the owner of Fresh Faced Skin Care. 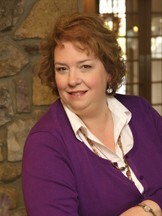 Erica holds a Bachelor of Science degree from the University of Delaware and Master’s education from Drexel University. Prior to opening Fresh Faced Skin Care, Erica was a cancer research scientist for over thirteen years. Erica opened Fresh Faced Skin Care because she wanted to offer a specialized business that only performed facial treatments. She offers a unique approach to skin care by utilizing her scientific knowledge of skin biology and cosmetic chemistry to produce unparalleled results. Clients at Erica’s studios in both Chadds Ford, Pennsylvania and Historic New Castle, Delaware receive free consultations to determine the best customized treatment plan for keeping their skin healthy. Each client receives private, individual attention with Erica. She uses her own unique professional products clinically proven to deliver highly effective results. 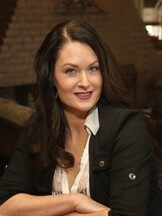 Erica is also the creator of Fresh Faced by Erica makeup and skin care products. 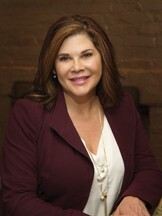 She specializes in acne and acne scarring and has developed strategic protocols that help clear adult and teen acne. Erica’s success rate is so high that even dermatologists refer their acne patients to Fresh Faced Skin Care. Erica is often asked to speak about skin care at conferences, women’s groups, and seminars across the country. She truly has found her passion and loves to help others achieve their best skin ever. Erica is a native Delawarean, growing up in Bear, DE. She now resides in New Castle, DE with her husband, Carl and son, Andrew. For an appointment or for additional information, call 302.689.3223, email freshfacedskincare@yahoo.com or visit www.freshfacedskincare.com. 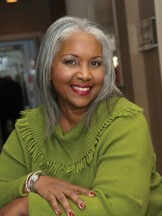 Hi, I am Gwen Anderson, my husband and I are the owners of Anderson Travel Services Inc. in Wilmington, Delaware. After having our third child I left the corporate world and decided to follow my passion, helping people plan their vacations. After completing course work for travel, I began working with a local storefront travel agency. After a year I left to work with another agency for about five years. In 2005, Austin and I decided to develop our own travel agency. We have traveled to Europe, Hawaii, Bermuda, the Bahamas, Mexico, Alaska and across the USA for our travel experience and education. In addition, we have participated in ship and land inspections and continue our education by completing travel courses given by the major Cruise lines, Amtrak Vacation, and Sandals Resorts. Many of my clients spent hours searching the internet gathering information for their vacation, as a travel consultant I help them sort out the information overload. I enjoy organizing group trips to Broadway/Musical shows followed by dinner, I arrange group cruises, land vacations, weekend get-a-ways and full-filled day trips. As a business owner I wear many hats; business manager, sales, marketing, accounting, and record keeping. To improve the quality and efficiency of our services in 2010 we joined Avoya Travel Network as affiliates. This affiliation has helped us to better manage our business through professional development that allows for improved service delivery for our clients. “Very helpful and patient offered a very good deal.” Marlene R.
“Very lovely lady, Gwen, helped us save on a cruise.” Barbara S.
“Gwen was really helpful and worked to get us the best deal, Go Gwen.” Ruthie D.
“Gwen was very professional.” Roger H.
“Gwen responds quickly and gets us the information that we need.” Sharee V.
“Great travel agent, got answers on all of my questions quickly. Booking was without any problem.” Yosef R.
Set in the heart of the Brandywine Valley, Mendenhall Inn has been serving patrons from Delaware County and the surrounding area for over 40 years. Their award-winning restaurant & newly renovated dining room creates the perfect atmosphere for a romantic evening after touring the historic Brandywine Valley. Known for their menu selections from French to New American cuisine, dishes such as Prime Rib, Roasted Duck and Snapper Soup highlight the menu. The table-side Bananas Foster Flambé is always a well-praised dessert from diners. The new “Alexander’s Lounge” features live entertainment on Friday nights, an outdoor fire pit and carries an impressive cocktail menu; ranging from a vast selection of craft beers to their signature Root Beer Martini. Mendenhall Inn is a top choice for the couples looking for the very best in wedding receptions and ceremonies. The elegant, all-inclusive wedding packages are one to consider for all bride and grooms-to-be in the area, winning the WeddingWire Couple’s Choice Award as well as being named Best Wedding Venue by Reader’s Choice Delaware. Their two spacious and uniquely decorated Ballrooms hosting up to 275 guests paired with the exquisite menu of Mendenhall Inn is a combination you’ll need to see (and taste) for yourself! The captivating Grand Ballroom showcases a breathtaking spiral staircase while the Gold Ballroom proudly displays an exquisite outdoor patio. For more information on Mendenhall Inn, visit their website at www.mendenhallinn.com or visit their Facebook Page for the latest updates. 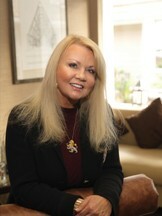 Carol Harvey graduated from the University of Missouri with a degree in Social Work. She moved to Wilmington, DE in 1976 with her husband and three children. A lifelong collector, she had her own antique business for the next 25 years. She taught classes on antiques, gave speeches, had Victorian Teas in her home and sold antiques on consignment. That business taught her to be selective, look for good quality, appreciate fine workmanship and to buy fewer but better things. She brought those same qualities to Hansel and Gretel when she bought the store in 2001. Carol was to fully realize her passion for clothing, business and people in this business. Carol faced many challenges in retail but went on to become Delaware’s No. 1 Children’s Boutique under her steady guidance. The boutique has held that title for the last 15 years. The store has always stood for classic quality children’s clothing and now celebrating its 50th year as Hansel and Gretel Children’s Boutique. Carol, and her daughter Jen, make frequent trips to New York and Philadelphia each season to hand pick the most unique and fashionable clothing, shoes and toys for the store. Hansel and Gretel is serving its third generation of loyal customers under Carol’s loving leadership. The store supports numerous charities related to children as well as Delaware Humane and Faithful Friends. 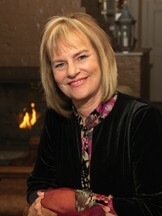 Carol serves as President of Questers, the national organization for those interested in the study of antiques and history. She is an active Methodist and a grandmother to 5 children. Each day she meets the many challenges of her small business including the recession and the internet and is very grateful to spend yet another day in her beloved Hansel and Gretel. For more information please visit http://www.hanselandgretelofde.com/, call us at 302-478-0383 or better yet, stop in and see us! We’re located in Talleyville Shopping Center at 3603 Silverside Rd, Wilmington, DE 19810. Carmella Gibellino-Schultz, Board Certified by A.A.M. & C.P.C.P. Known for her thorough artistry and “magic touch,” Carmella Gibellino-Schultz’s passion for cosmetics began at a young age, propelling her career path. 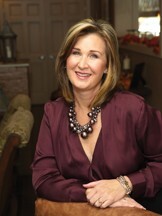 After becoming a licensed cosmetologist in 1978, Carmella dedicated herself to inspiring others and founded the Skin Care School and Center in 1996. Having trained over 700 estheticians in 8 years, Carmella then dedicated her career solely to the practice of permanent cosmetics in 1999. Carmella’s perfectionist attitude and continued devotion to meeting every client’s needs has been the driving force behind the success of her practice, Permanent Cosmetics Studio by Carmella. As an expert in topical makeup application with a keen eye for detail, shape and color theory, Carmella’s skills are unsurpassed. She is a true artist and lifesaver to all she has worked with. You can contact Carmella at 610-883-0636 to book an appointment or to find out more about her Studio. Barbara P. G. Williams is passionate about the wedding flowers selected by her brides. With a degree in floriculture, Barb was a designer for many flower shops before becoming co-owner of Belak Flowers in 1997. Barb moved to Wilmington from Lancaster, PA in 1983 beginning her career with Taylors of Penny Hill; she later designed for Flowers by Yukie, Gambles in Newark, Village Green Flower Shop in Greenville and later for European Gallery. While raising her daughters, Barb worked part-time for Wildflowers Wholesale Flowers. Outside of her “floral life” Barb is on the Board of Directors of Brandywine Naaman’s Rotary where she has been a member since 2000. She is a past-president of First State Mothers of Multiples. Currently Barb serves on the Board of Directors of Sellers Senior Center in Bellefonte and on the Worship and Music Committee at St. Philips Lutheran Church. “Being a preferred florist for many venues,” says Barb, Our brides come to us from as far away as Chicago, New York and Florida, but most are from the tri-state area.” In 2015 Belak Flowers created wedding flowers for over 145 brides and grooms. Belak Flowers has won The Best of the Knot several times and has won The Wedding Wire, Couples Choice Award in 2015, 2014 and 2013. Barb’s wedding bouquets have been featured in many publications. This shoot was a group effort of our wonderful stylist from: J. Christian Studio and Amelia Paris Salon. Hair styling & makeup application were provided compliments of J. Christian Studio, where hair and art perform. J Christian and his wife Marcy Wilkinson, own and operate J Christian Studio in Hockessin, Delaware. J Christian has over 37 years of experience in this industry and is an active international artist and master educator. The Studio is a full-service, upscale salon with expertise in hair, nails, makeup, executive and standard male grooming, as well as bridal services.